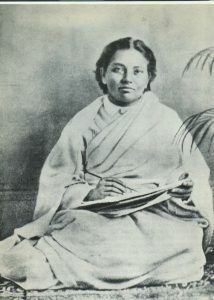 Friday, April 5 is the day the Episcopal Church (USA) dedicates to Pandita Mary Ramabai. It’s also the date of her death in 1922. 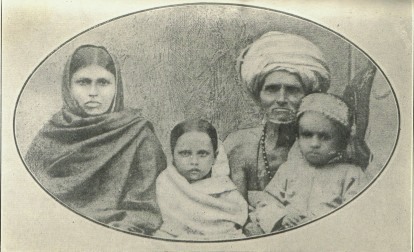 Rama’s Family. She is second from left. to temple. He recited scripture for alms. It was a hard existence for Rama, her brother, and her sister. There were two other unusual aspects to her childhood. Rama’s father taught her to read, and he didn’t arrange a marriage for her. In 1876 famine took everyone in Rama’s family, except her brother. 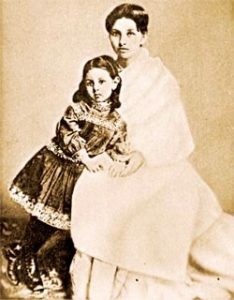 They continued to wander and recite until they arrived in Kolkata, where Indian reformers were enchanted to meet an educated woman, a woman who hearkened back to an earlier age. Rama lectured, married, and bore a child. She lost her brother and husband to cholera. 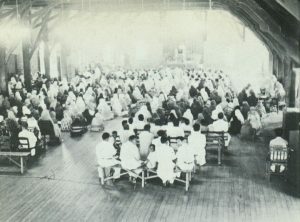 Most people would have given up on life, but Rama made friends with nuns from England who sponsored Rama’s journey to their mother house at Wantage, and her education. At Wantage, Rama accepted baptism for herself and her daughter. She also decided to open a school for Hindu half caste widows, and went to America to raise the funds. Rama went back home and opened her school. She also founded an ashram at a small village near Pune. 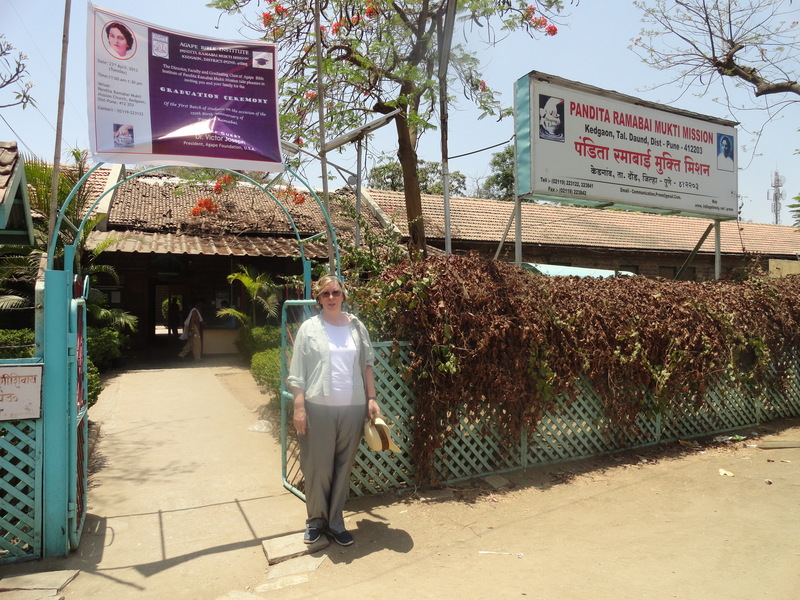 The ashram, Mukti, still cares for women and children. All of these accomplishments are noted in the church explanation for recognizing Pandita Ramabai. But they don’t discuss Rama’s exploration of a more personal, emotive faith led to the first pentecostal revival in 1905. The narrative passes over that to emphasize Rama’s translation of the Bible into Marathi, a massive undertaking Rama completed just before her death. 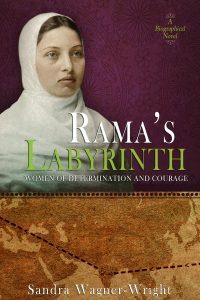 In writing Rama’s Labyrinth, A Biographical Novel, I was continually struck by Rama’s shear force of will, a tsunami that removed all obstacles in her path. 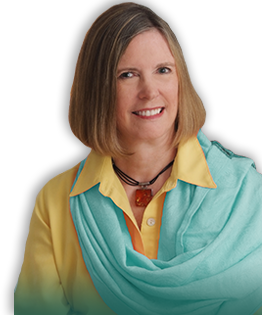 I didn’t find her personally likable, zealots seldom are. But she was mesmerizing. Learning about and writing Rama’s story, I sometimes felt I could sense her approval and/or disapproval of what I wrote. 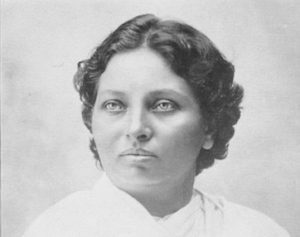 I’m glad the Episcopal Church honors Pandita Ramabai for her life’s work. I wish they mentioned the Holy Ghost Revival she ignited in 1905. Black & white illustrations in public domain. Rama’s Labyrinth: A Biographical Novel. Publication details at bottom of page.